I’ve got a very strict rule about computers. After the 2nd cocktail, I don’t return work emails and I don’t buy on ebay. But, who follows rules after the 2nd cocktail? Apparently not me. The work rule is easy. Who wants to work once the fun starts. So I made this impulse purchase. Its 2 planes. I thought one was a Sargent #5409. 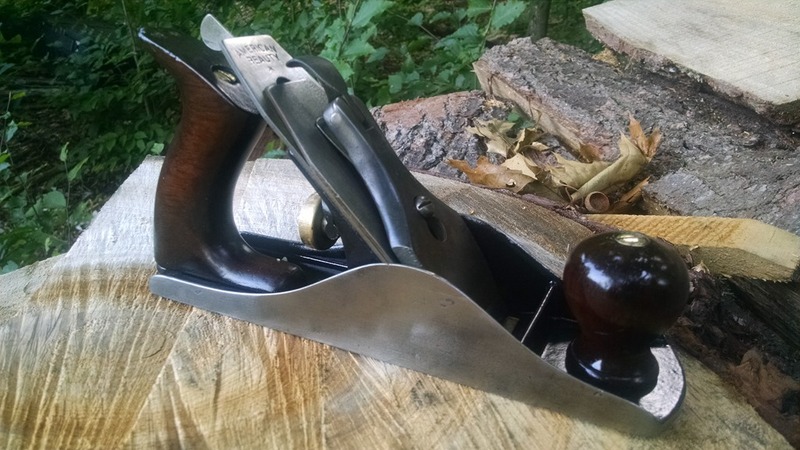 It was all there, the thin casting, the steel insert in the adjustment knob, the twisted lateral and a corrugated bottom. The problem was the corrugated bottom was on the “other plane”. A little bummed but I still had a decent type 3 Sargent 409. 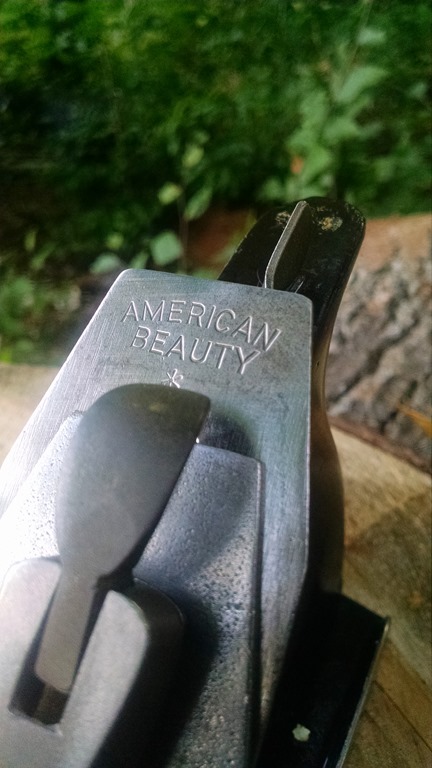 It’s got an American Beauty cutter, so I know that’s not original. 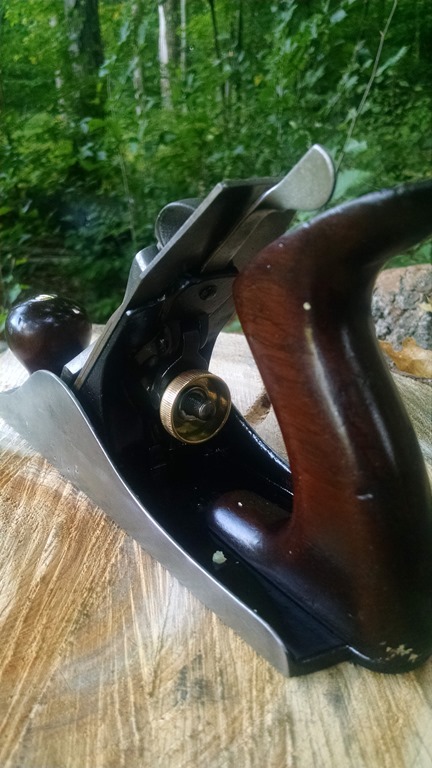 I need to find out about the American Beauty part, but Sargent didn’t make a cutter back then with the round hole at the bottom of the cutter. The other surprise was I was sure the other plane was a Defiance. But it had a corrugated sole and I didn’t think the Defiance came corrugated. Well come to find out, in 1939 (yep for 1 year) Defiance made a corrugated. Since the #1204 Defiance was made from 1932-1953, and the #1204C was only made in 1939 I’m going to assume it fairly rare. But here is the Sargent type 3 #409 anyhow. Look for the Defiance in days to come. 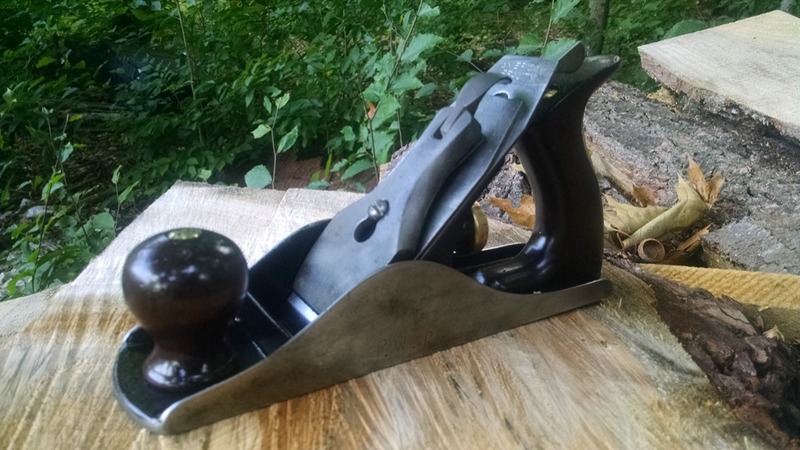 If you know ANYTHING about the “American Beauty” Iron, I’d love to here from you. I know there is an American Beauty company in business today, I just don’t know if it’s the same, and they don’t do planes anymore. The discussion is here! The American Beauty Rose symbol was registered by the American Hardware & Supply Co. of Pittsburgh, Pennsylvania. The trademark registration was issued on December 22, 1914 as No. 81, 360. Included in the write-up that accompanied the application, and subsequently became part of the registration, was the claim that the trademark had been used since March 1, 1911. 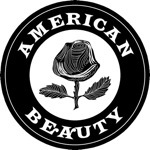 Indications are that the American Beauty Rose was hybridized in 1875 and the theme was applied to all kinds on things.